Confession time: for the last couple weeks, I’ve been a little concerned that some of my posts were starting to sound repetitive. When I started this blog, I said that it would be dedicated to keeping you updated on my progress in the sport of triathlon. However, my fear is that in writing exclusively about my athletic endeavors, I’ve been neglecting some the other areas of my life. I actually do other things other than swimming, biking, and running, and I think that it’s fair to address those things as well. Ergo, in an attempt to make me sound a little more well-rounded (and because I can only talk about races for so many weeks in a row) I’ve decided that I will occasionally throw in some entries that are completely unrelated to triathlon but (hopefully) interesting nonetheless. That being said, I am dedicating this post to my absolute favorite place in the world. 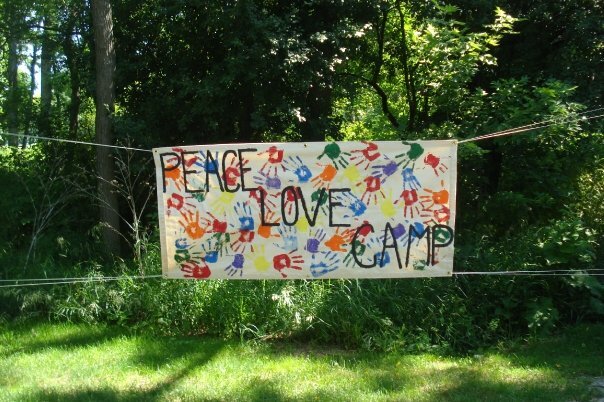 It’s a place called One Step at a Time—a camp for children who have or have had cancer. Anyone who has talked to me for more than 30 seconds knows how obsessed I am with this place, and most everyone I know has fallen victim to the endless slew of stories that begin with “this one time, at cancer camp…”. But in light of events that transpired this week, I decided that camp was an appropriate thing to write about. I’ll never forget the first time that I went to One Step, mainly because it was a little bit traumatizing. 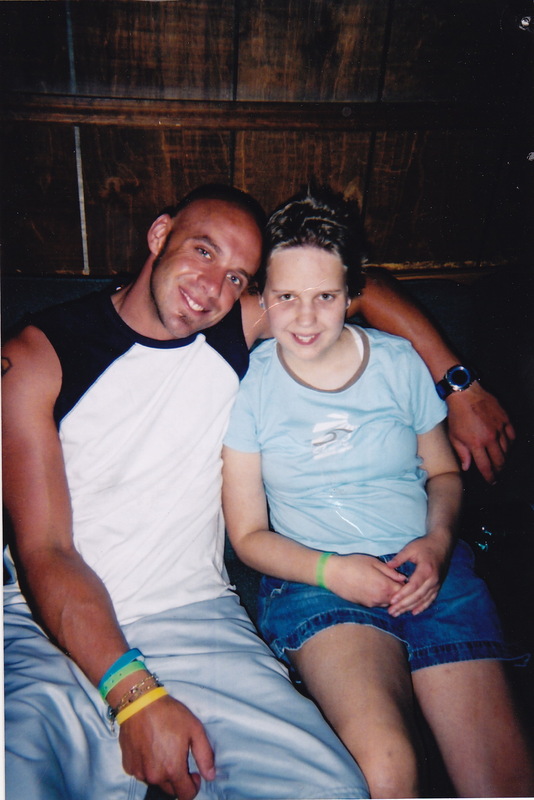 At thirteen years old, I had just finished all of my chemo treatments and had no desire to go spend a week with a bunch of cancer kids. But my parents thought it would be “good for me” and pretty much forced me to go. When they dropped me off at the cabin that I would be living in for the next week, I was fighting back tears and praying that they would tell me that this was all just a sick joke and that we could now go home (I realize that this is slightly pathetic for a 13-year old, but keep in mind that I had not spent more than 5 minutes away from either of my parents for the entire year before). After my parent abandoned me, I found a spot on one of the dingy couches and started to take it all in. I remember looking around the room and seeing all sorts of different people. Some of them had bald heads, and some were rocking bandanas. Some of them were in wheelchairs, and some had PICC lines in their arms. Still others looked like they’d never been sick a day in their lives. But amongst all these differences, the one thing that they all had in common was that they were all smiling. Everyone was so happy, and it was clear that there was nowhere else in the world that they would rather be. In that moment, I knew I was about to become part of something special. By the end of the week, I had become “a lifer.” I vowed that I would come back to camp every year for the rest of my life—and eight years later, I have stayed true to my word. The thing that reeled me in and has kept me coming back is the people. Being surrounded by campers and counselors who completely understood me, what emerged was a sense of unconditional love and acceptance unlike anything I’ve ever seen before. For the first time in my life, I felt like I could truly be myself without the fear of being judged, and after just two days, I felt like I had known these people my entire life. Over the years, these relationships grew stronger, and to this day, many of my best friends come from camp. Sometimes when I tell people that I go to a camp for kids with cancer, I am met with sympathetic eyes and comments about how sad it must be. The reality is that camp is the happiest place on earth. Sure, these kids are dealing with stuff that nobody should ever have to go through. But when they’re at One Step, none of that stuff really matters. While cancer may be the thing that brings us together, it is certainly not what camp is about. Camp is about singing songs about a guy who owns a weenie stand, making tortilla s’mores over the campfire, and staying up til the early hours of the morning discussing potential dates to the dance. It’s a chance to experience all the simple joys of childhood that we missed out on—a chance to just be a kid again. And for many, those two weeks in June are what motivates them to keep on fighting throughout the rest of the year. The few. The proud. The Sarcoma Club. I’ve heard it said that everything you need to know in life you learn at summer camp. For me, this couldn’t be more true. It’s at camp that I learned how to be a good leader, a team player, a role model, and a true friend. I learned that a few cases of tissue, some ribbon, and a couple hundred pounds of flour are all that’s needed to produce an epic 4.5-minute battle. I learned that hiding a prosthetic leg in someone’s sleeping bag may result in waking up the next morning to a room covered in toilet paper. I learned that I owed it to myself to be able to do the things I wanted, and that I could do more with one leg than I could do with two. I learned that there are people who would accept me for everything I am, and that I could to be defined by things other than my illness. I learned one of the hardest lessons in life thus far—that some people come into our lives and are taken away too quickly, but that that is no reason to stop loving. But most importantly, I learned that you don’t have to be related to be a family, and that the love that exists at One Step is enough to carry us through anything. In just a few weeks, I’ll be heading to Lake Geneva for my ninth summer at camp, my second as a counselor. 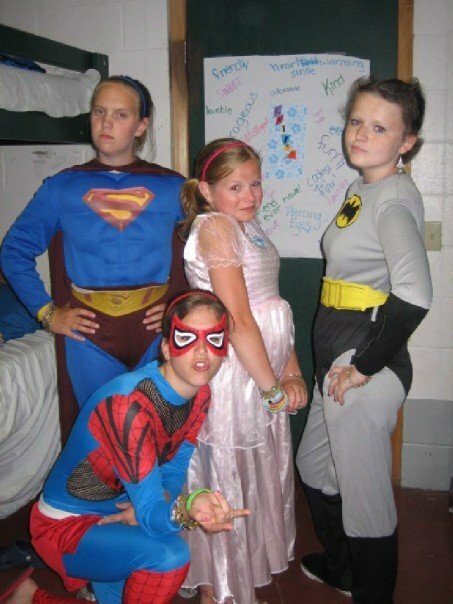 Sometimes I think about what my life would have been like if it weren’t for camp, and I honestly can’t imagine it. This place has become so intertwined with who I am, that it is impossible to tease the two apart. When I look at the relationships I have, the decisions I’ve made, and the values I hold, all of it goes back to camp in some way or another. It’s wild to think that the decision to go to Lake Geneva for a week ended up changing my life in so many ways. But it is without a doubt the best thing that ever happened to me. Hailey thanks for sharing such a wonderful insight into camp and into such a significant part of your life. I’m sure you are the counselor to which kids flock. Btw, I’ll take these stories over your thoughts on the latest Rudy Project spex any day!